2.4.3 Upgrade from "minimal" to "normal"
Access to all packages from Debian software repositories. 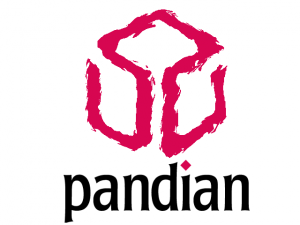 Pandian hosts its own Debian repo http://pandian.openpandora.org with up to date scripts, all settings and extra programs. Full Debian GNU/Linux based on sid branch with LXDE desktop environment (normal) or CLI (minimal-) build. Pandora ;) All versions fine? PC Linux|GNU, BSD, Mac, or Windows for putting the install on the aforementioned SD-card. It is trivial to change from LXDE to Xfce (or any other desktop environment), adding a new user interface atop the minimal install is more advanced as manual setup of USB-Networking or wifi is needed to do so. make sure it matches the given md5sum, if not, try to download another copy. This step isnt mandatory, but its there to make sure everything is fine before we proceed. 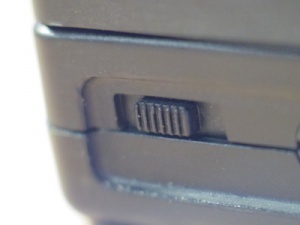 This step helps you find out where the SD card is mounted. Open an Terminal and input "lsblk"
Warning, this will destroy everything on the device ! So please be very sure which device is you SD-Card ! (note that the x after the sd is the drive letter, it could be sdb sdc or sdd and so on, lets say its sdc. Which means c is the drive letter for the SD-card and that sd- a and -b are in use for other things. Copy image to SD-Card with "dd if=<image.img> of=/dev/sdx"
The actual partitions of the SD-CARD. Please select the correct device at the top right corner. When you press "Apply all operations", youve got a warning that you can loss your Data. THIS IS THE LAST CHANGE TO CHECK IF YOU SELECTED THE CORRECT DEVICE. Press Apply if everything is correct. Upon first boot of Pandian, there is a first-start-wizard which guides you through some basic settings. These are: Locale, timezone, time and date, password for admin and user setup and finally calibration of the touchscreen. The script is located in /usr/sbin/pdSetup should you need to run it again. After you setup your Pandora, it is useful to update your system. It is a rolling release, which means since the image was made, the system is forever updated with new packages. Note: to update only the pandian-packages enter "apt-get install pandian-full"
Normally files inside users home get overwritten ( if you say yes ) during upgrade. Since an change of this behavior, files inside the users home don't get changed anymore by pandian packages. Now settings of fluxbox and xinit/xinitrc are links. So The user can just unlink some of the settings and write there own, without getting overwritten from an upgrade. To get up-to-date with the fixes in pandian, you can initialize the home directory to default state. Upgrade from "minimal" to "normal"
update package list with: "apt-get update"
install pandian-lxde with "apt-get install pandian-lxde"
load keymap with "xmodmap /etc/skel/.pndXmodmap"
the easiest way is to activate the first-start-wizard with "insserv firstuse"
This superuser privilege is used by sudo for admin task like shutdown etc. This script handles all system-related stuff, like lid, low-power, usb or wifi. Fluxbox is the actual Desktop Environment for pandian. It is simple fast and easy to configure. If your Pandian has a German keyboard layout, you might have some trouble because it does absolutely not fit US layout on the Pandora. There is a work around this isse. There must be the absolute path (no "~/"). Many users complained, their Pandora Button has no function in Pandian. This can be changed by mapping the button as "mod4". Pandian comes with an unconfigured Openbox as a possible session. Here are some config templates. Open the rc.xml with a text editor and search for the section <keyboard>. Pandora internal NAND exposes a raw flash interfaces. For such devices, the Linux kernel exposes a special MTD abstraction and "mtd aware" filesystems may give a better performance. Pandora uses UBIFS, which needs UBI volume management to work. If you download the pandian-mark2-minimal-hf_2014-01-02 image there is a lack of tools for setup wifi networking. switch to root-directory: "cd /"
untar the network-fix: "tar -xf /path-where-file-is-located/pandian-mark2-minimal-networking_2014-01-03.tar.gz"
setup the fix with command "pdMinimalNetwork"
note: It is assumed here, that the card-reader load the card as /dev/sdc. Please check before which device is your SD-card ! This can be checked with gparted. Minimum requirement 2GB SD-card. Copy image to SD-Card ( dd if=<image.img> of=/dev/sdx ) Don't specify "bs="
Enter your new root password when prompted, and then again to confirm. Default installation is limited to 2GB, if you want to expand it, you can, provided you have installed it on a bigger SD-card and want to make use of the space. 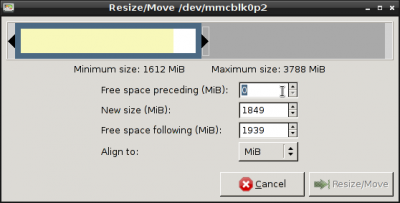 show size with "print free"
disregard the 4th entry, the new resized partition is the last one. This page was last edited on 10 April 2014, at 16:21.